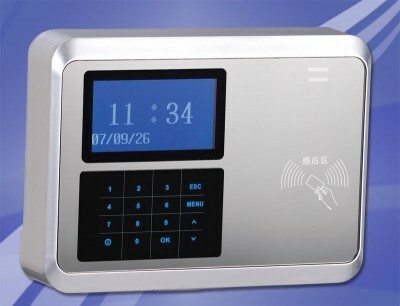 The PayBay SBE Time and Attendance system allows employees to clock in and out with a quick wave of their badge in front of the proximity card reader terminal. This comprehensive PayBay SBE Time and Attendance System includes time and attendance software for 100 employees with one concurrent user and the proximity card reader unit. Economical – Start with what you need now, and easily add capacity as your needs change. Add more terminals any time. Expandable – The Simplex Time Recorder's Proximity Time and Attendance System reduces clerical errors while streamlining the payroll process. Supervisors can edit and approve the electronic time cards at the PC. The software automatically calculates hours worked and exports data to most popular payroll software and services including ADP® and QuickBooks®. 1 Year Warranty – One year manufacturer’s warranty comes with every Simplex Time Recorder PayBay Time and Attendance System. This warranty covers manufacturer’s defects not caused by incorrect use of the product. Simplex Time Recorder Guarantee – Quality time attendance products are our goal. If for any reason our product does not meet the needs of your business, contact us and we will make sure that your needs are met.